Too often, the need for the most basic estate-planning documents is overlooked or misunderstood. While many people would admit they should have a will, 50 percent of Americans with children and 41 percent of baby boomers age 55 to 64 don't have one, according to a survey from online legal services company RocketLawyer.com. 1. A will. If you care about who will get your assets and look after your minor children upon your death, then you need a will. Without one, the state in which you resided will decide who gets your money, typically in a certain order, starting with your spouse and then your children, moving on to your parents and then siblings and finally going to a broad category called "other," should none of the previous people exist. This potential nightmare can be solved simply by telling the world in writing who gets what. 2. Beneficiary designations. If you have a life insurance policy or any type of retirement account, you likely filled out a beneficiary designation form indicating who would get this money. This is an extremely important piece of paper because it, and not your will, determines who gets your money. It's even more important to revisit your list of beneficiaries if there were any changes in your life, such as getting married or divorced or having a child and then more children. To find out whom you currently have designated, contact your insurance company for life insurance; employer for 401(k) plans; or brokerage firm for individual retirement accounts. 3. Financial power of attorney. Wouldn't you rather know that someone you trust will make financial decisions on your behalf should you become incapacitated or unable to make those decisions for yourself? By designating a financial power of attorney, you'll have more control over your financial affairs and a better chance that your wishes will be followed. Without one, the court will step in and appoint someone to take care of these decisions-and that process can take some time. While the court typically appoints a close family member, that person may not be the one you would have chosen. This is especially imperative if you have a non-spouse partner. By designating your financial POA, you also have control over the scope of powers to grant your "agent," from access to your financial accounts to managing all your financial affairs. 4. Medical power of attorney. Like the financial POA, the Medical POA lets you choose who will make medical decisions on your behalf if you are not able to make those for yourself. It allows your designee to have access to your medical records, consult with your doctors and admit you to a hospital or long-term care facility, among other things. They will also see that your "advanced medical directive" is carried out. 5. Advanced medical directive. End-of-life decisions-such as whether you want tube feeding or to be put on a ventilator-are deeply personal and can be incredibly difficult for loved ones to make if you haven't put your wishes in writing. 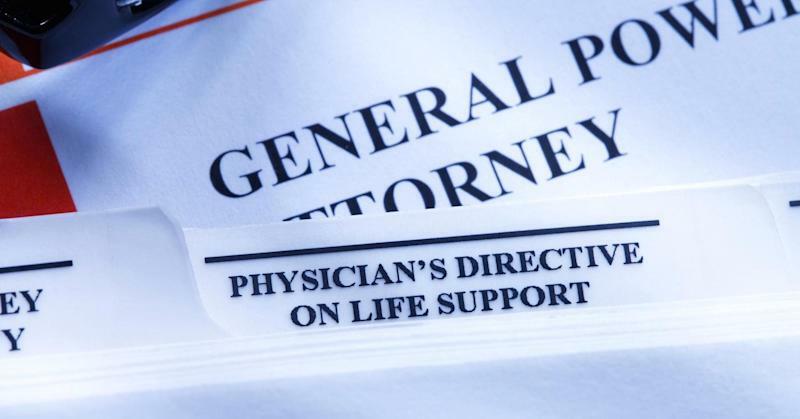 An advanced medical directive that clearly defines what you do and do not want not only lifts this burden from them but assures that your final instructions are followed. Once you have these documents in place, make a point to periodically review and update them-especially if you have had any changes in your life. Keep in mind that these are just the basics. You can learn more and download sample estate-planning documents at online legal resource websites such as www.findlaw.com. -By Barry Glassman, special to CNBC.com. Glassman is founder and president of Glassman Wealth Services.